Ca. 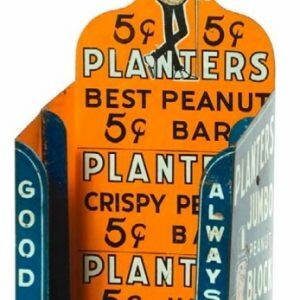 1937 Planters Peanuts Co. store display jar w/ painted lettering on outside and its two large original Jumbo block elephant labels on sides. 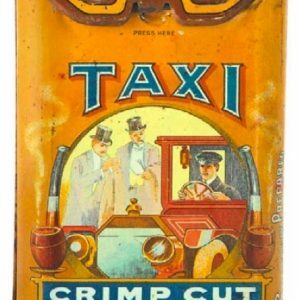 Complete w/ original colorful and graphic tin litho lid. SKU: 81-6. 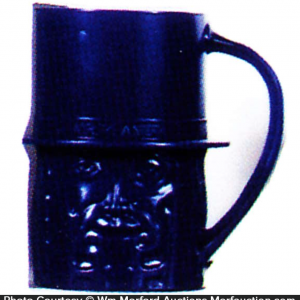 Categories: Bottles and Jars, Ceramics and Glass, Nut and Chocolate. 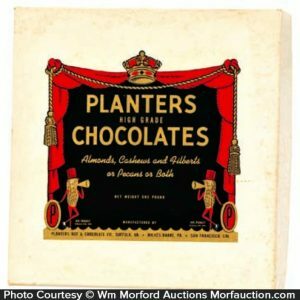 Company/Brand: Planters Nut & Chocolate Company. 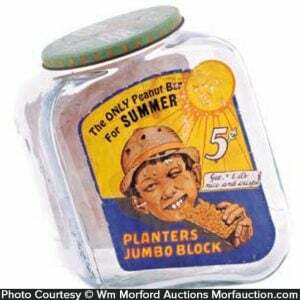 Planters Jumbo Block Jar: Ca. 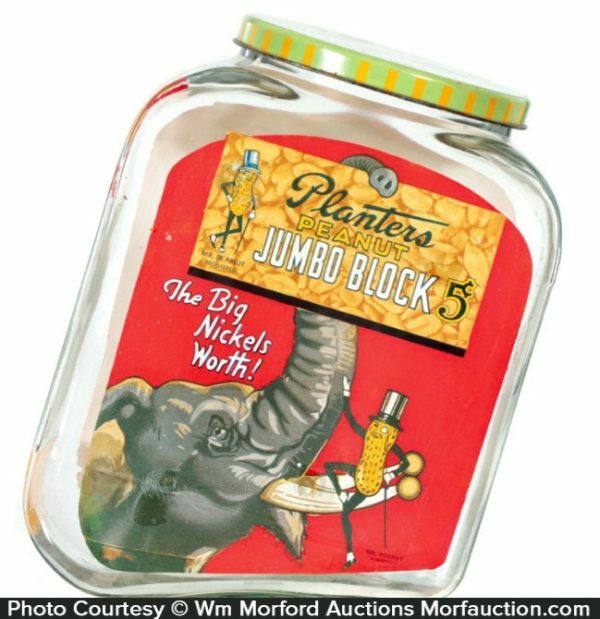 1937 Planters Peanuts Co. store display jar w/ painted lettering on outside and its two large original Jumbo block elephant labels on sides. 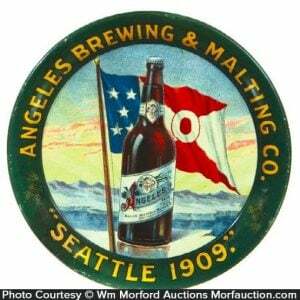 Complete w/ original colorful and graphic tin litho lid. 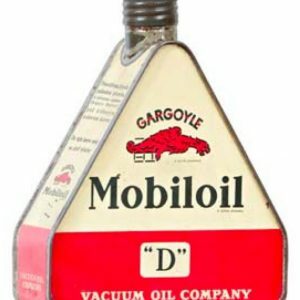 Clean and exceptionally nice.